Our light pad is ultrathin and portable that you can take it anywhere with you easily unlike a traditional light box. The adjustable brightness can help you to see the details in all your crafts easily and reduce eye strain. USB cable included, but no adapter. 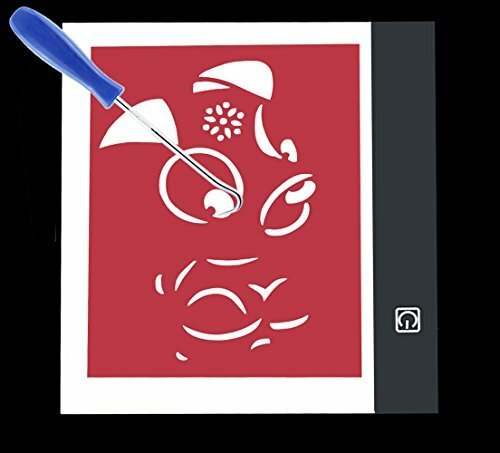 WEEDING VUNYL TOOLS: When weeding vinyl or iron-on or heat transfer vinyl, your design will be beautifully illuminated for quick and easy work. ULTRATHIN & PORTABLE : Our light pad is so thin and portable, thus you can take it to anywhere just you need. USB POWERED: It supplies with a USB cable and can be plugged into any device with USB port, like computer, power bank or any power adapter. EYESIGHT-PROTECTED TECHNOLOGY: Our light pad illuminates projects for easier crafting and reduced eye strain. If you have any questions about this product by SZLTZK, contact us by completing and submitting the form below. If you are looking for a specif part number, please include it with your message.